I was speaking with a board director of one of my favourite clients yesterday and he was troubled by the lack of member engagement at his association. I asked him, “what is your member value proposition?” He responded that he knows they provide value but he’s not sure how to describe it. He told me that they get lots of non members out to events but they can’t seem to covert them to membership. He told me that association staff and directors “freeze” when they’re asked, “why should I join?” This is a huge problem with a simple solution. There are only 2 steps. Take the time to understand and articulate your MVP (member value proposition) in a way that answers, “what’s in it for me?” for the member. Find out more about your MVP http://www.zzeem.com/MemberRecruitment.aspx. Train, rehearse, train. Drill that MVP into every staffer and director, repeatedly. Each staffer and director is an ambassador and they must be able to answer the WIIFM question in their sleep. Like any other product or service, the value of membership is no more or less than the value the individual member attributes to it. How much does he or she “need” the membership, what money will it put in their pocket, what emotional value does membership provide (or substitute Maslow’s Hierarchy here) and how much can they afford to pay? Ultimately you value your membership just like any business would value a product or service. What is the member value proposition to that type of member? Can the member value proposition be quantified? For example what is the member discount on events and how many are there? What are the competing opportunities for membership services? Are there other associations who compete with you for members? If so, what do they provide and what do they charge for membership? How much can a prospective member afford to pay? Your member value proposition is not a laundry list of what the organization does. It is a succinct, compelling description of the value of membership to the member. The value proposition of your organization is what makes your existing members renew each year and brings new members in the door. What is the credibility and visibility of your organization? If it is a well-established, trusted and highly credible institution it’s worth more than membership in an organization that no one has heard of. That’s why you pay more for a degree from Harvard than for one from the University of West Quackenbush. What is the visibility of your member services? If your organization does a great job of marketing the value of the membership then it’s “worth” more. What is the quantifiable value of the services provided by membership? Do members receive a significant discount on events and other services? Do you provide professional education or certification? If so, what is the value of the education? 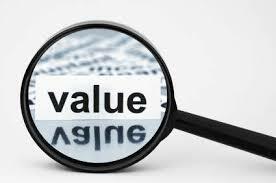 Remember it all starts with your member value proposition. This is the bedrock of the sustainability of your organization and many organizations cannot articulate it. Last year, our annual survey of membership organizations told us that less than a third of organizations surveyed were highly confident that all of their board members could clearly state their value proposition to a prospective member.